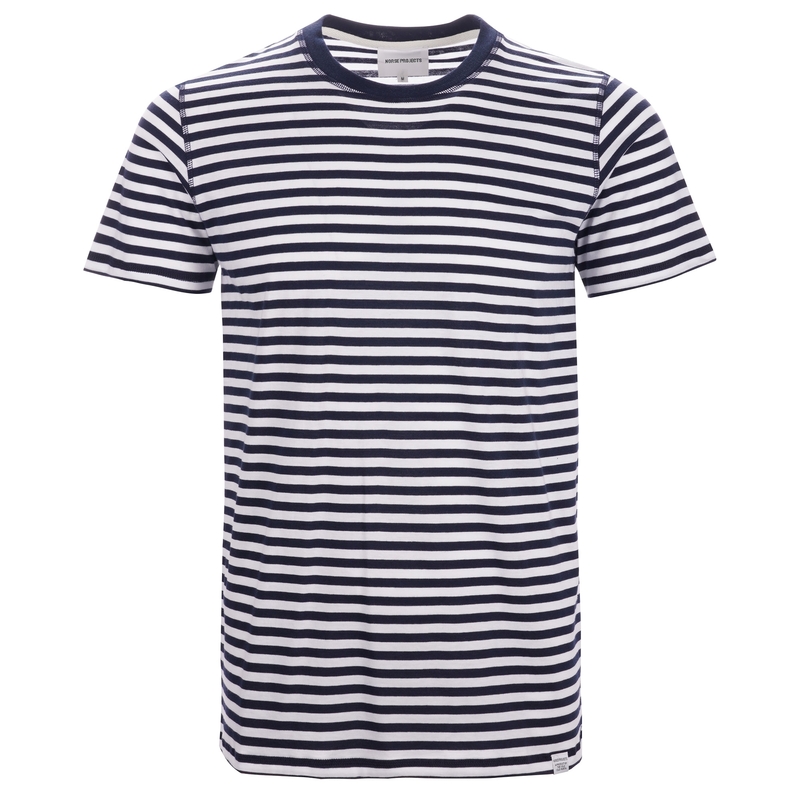 A timeless Dark Navy and White iteration of the classic Norse Projects Niels Stripe T-Shirt that gives a contemporary approach that ties in with the label's seasonal nautical theme. Made from 100% cotton jersey that is soft on the touch the tee features a ribbed crew neck - giving the wearer a little extra comfort - whilst the hem features the signature Norse Projects woven tab. Cut to a regular fit the piece makes for a great option to have in rotation for casual wear over the course of the coming months.